To check our actual offers in Tallinn, please use the white form above. Just enter the desired dates, time and pick-up/return location. The most recent car booking in Tallinn has been made on our website 614 minutes ago.. In Tallinn, we offer for rental 8+ car categories from 20+ rental suppliers. With OrangeSmile, an early booking is the best way to save on rental costs, since our car rental rates in Tallinn increase with approaching pick-up date. While our confirmation arrives just in 5-20 minutes, we advise to make your booking in Estonia at least a few days before the desired rental date. Prior to making a booking, carefully read the rental conditions for the selected car in Tallinn. Knowing the actual conditions helps to avoid surprises at the rental desk. Make sure that you know at which exact location in Tallinn the car should be picked up - for this, check the address in your voucher. In some cases, rental companies in Estonia meet their clients in a pre-defined spot (e.g. fuel station). However, commonly you should just register at the front office. Valid credit cards are accepted for payment by every rental office in Tallinn. In general, car rental companies in Estonia do not accept cash, debit cards and e-cards (VISA ELECTRON). 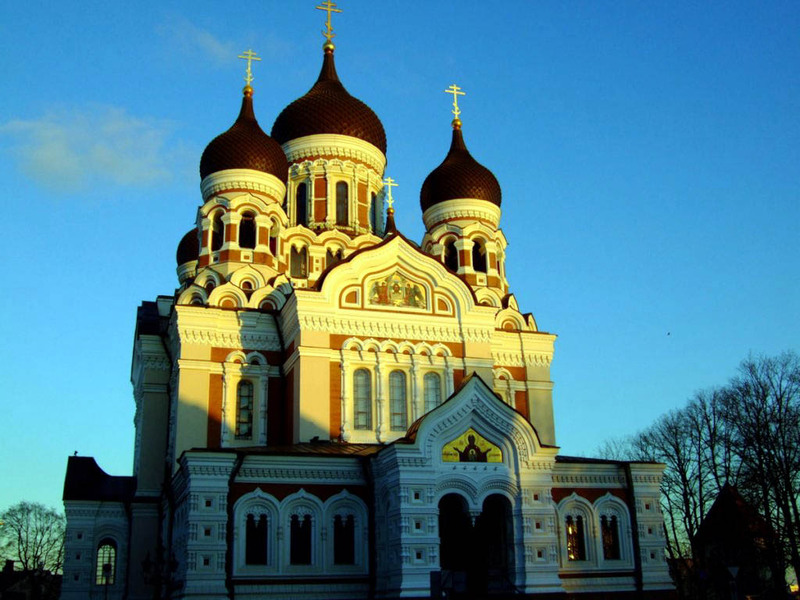 The documents provided to you in Tallinn by the rental officer should be carefully inspected. Check the car type, payment amount, taxes, included services and Estonia border crossing conditions. In case of inconsistencies and problems detected, call us by the number specified in the rental voucher. We, at OrangeSmile.com, wish you a fantastic time and experience in Tallinn! The locals are very friendly and calm. They are always very friendly with the guests of the city and are always ready to help. The way of behaving in society is very important for residents of Tallinn. They despise any manifestation of arrogance and neglect towards others. 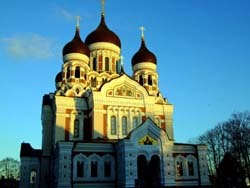 During the year Tallinn becomes the location of numerous interesting festivals and celebrations. For example, in July here is organized traditional Baltic Folk Festival, which always attracts many visitors from other countries. Grillfest is quite an unusual holiday. It is celebrated on the longest night of the year. In the evening the streets are filled with thousands of citizens who make fires, play, dance, and sing songs. When darkness falls to the city, the villagers start searching the mystical fern flower. According to an ancient legend, the flower will bring good fortune and luck to its finder. In summer many cities across the country celebrate the so called Days of the Middle Ages. The celebration resembles a large carnival - everyone can wear old clothes and go for a walk along the streets of the city. The main celebrations are held on the main squares – during the days of the festival here are organized true medieval fairs.